…After convincing myself that I was a woman during a severe mental health crisis, I visited a licensed nurse practitioner in early 2013 and asked for a hormone prescription. “If you don’t give me the drugs, I’ll buy them off the internet,” I threatened. …I do not have any disorders of sexual development. All of my sexual confusion was in my head. I should have been treated. Instead, at every step, doctors, judges, and advocacy groups indulged my fiction. Your job is to wave and wear hats, Meghan. We can certainly coo over your celebrity-status marriage into our Royal Family, but you don't get to selectively slag our history to suit your SJW pals. 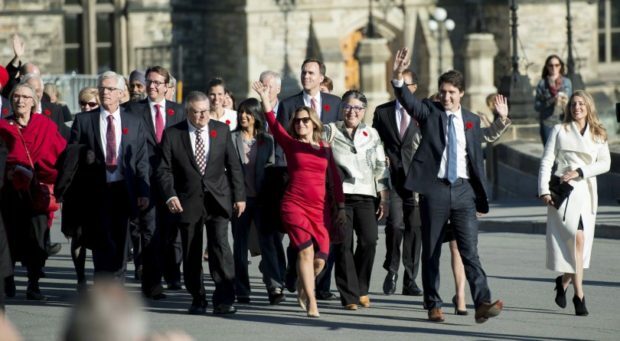 Paul Wells: You thought this government was about family benefits and boil-water advisories? The Lavalin affair offers a glimpse of the real scene—maybe the real Canada. “It feels a bit like a religious homecoming for me,” he said in an interview. 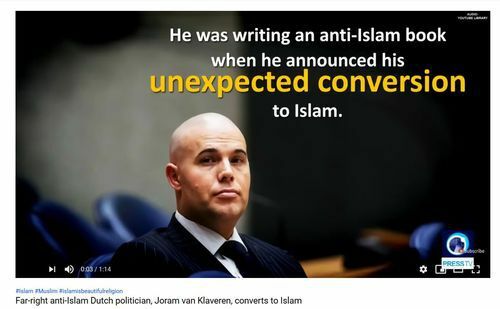 PVV founder, right-wing politician Geert Wilders, denounced van Klaveren’s conversion following the announcement, comparing it to “a vegetarian going to work in a slaughterhouse,” the Independent reports. …It’s worth noting that van Klaveren was not really all that “far-right” to begin with. He left Wilders’s party after Wilders said he wanted fewer Moroccans in the Netherlands, which seems like common sense. The Netherlands is, after all, quite a small country, and there’s no reason why there should be a moral imperative for it to absorb more Moroccans. However, on a deeper level this reflects the pattern described in Michel Houellebecq’s Submission. As has been noted before, those disgusted with the spiritually exhausted Western Civilization are going to look for alternatives. …As Islam reaches a critical mass within the West, expect more conversions and even the creation of a new form of the faith. UK Retail Giant refuses to Submit! Marks & Spencer refused to pull the product & stated it was an an aloe vera leaf! 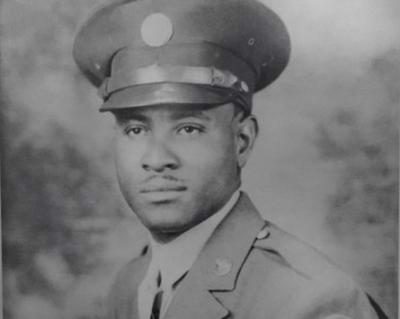 Richard Overton, the country’s oldest living man and WWII veteran, has died at age 112. His cousin, Volma Overton Jr., confirmed the news to the Austin American-Statesman on Thursday. The news came days after Overton was reportedly admitted into a hospital with pneumonia last week. He reportedly died in a rehab facility in Texas. 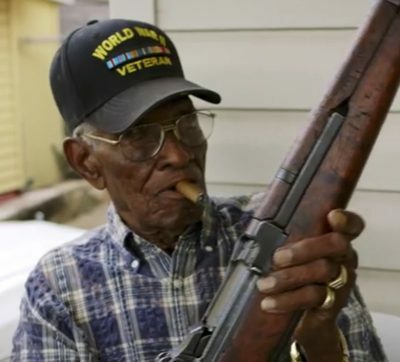 Overton served in World War II and had built a reputation for his liking for cigars and whiskey. Though he credited God for his long life, Overton told a local Fox station in a previous interview that his vices also helped as well. “I been smoking cigars from when I was 18 years old, I’m still a smoking ‘em. 12 a day,” he said jokingly at the time. Abdulrahman Sameer Noorah and Fallon Smart. 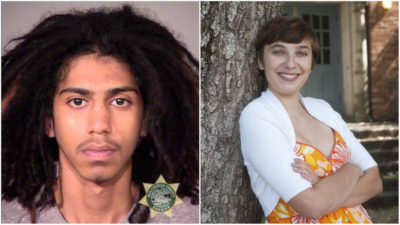 A black SUV pulled up to Abdulrahman Sameer Noorah’s home in Southeast Portland two weeks before his June 2017 trial. Noorah, a Saudi national charged the year before in the fatal hit-and-run of a teenage girl crossing Hawthorne Boulevard, had a bag packed that Saturday afternoon. The private car drove the 21-year-old Portland Community College student to a sand-and-gravel yard two miles away. That’s where Noorah sliced off the tracking monitor he had worn around his ankle for months, according to interviews with federal authorities. He then discarded it at the scene before vanishing, leaving a victim’s family crushed and prosecutors furious and flummoxed. Law enforcement officials now say they believe Noorah got an illicit passport and boarded a plane — likely a private carrier — to flee the country. Despite unknowns in the ongoing investigation, officials with the U.S. Department of Homeland Security and U.S. Marshals Service are all but certain who helped orchestrate the remarkable escape: the Kingdom of Saudi Arabia. U.S. officials learned only recently from the Saudi government that Noorah arrived back home 18 months ago. “We’re doing everything we can to get him back,” said Eric Wahlstrom, a supervisory deputy U.S. marshal in Oregon. Prosecutors still hope to try Noorah in the death of 15-year-old Fallon Smart. ‘It was late, and a friend and I were left to talk Brexit. He’s a keen and convinced Tory Brexiteer MP but to stay friends we have tended to steer off the topic. This, however, felt like a moment to talk. 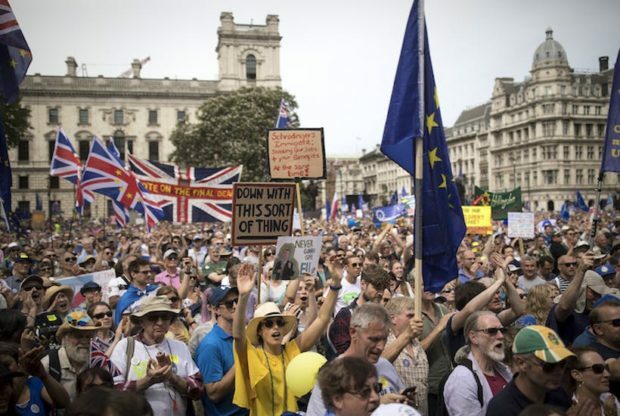 The conversation taught me nothing about Brexit, something about him, and a lot about myself and the strain of Conservatism I now realise I’m part of — and which is part of me. Oddly, then, this column is not really about Brexit, but about trusting the people. I don’t. Never have and never will. Our conversation forced me to confront the fact. …As I’m not running for office (any more – Ed.) I shall not pull punches. Tories like me, and I think we used to be in the majority, see good governance as an effort to live with democracy rather than to an effort to live by democracy. It is why we were so chary about referendums in the first place. We are wary of the populace and instinctively hostile to the instincts of the mob. We see the popular will as a sometimes dangerous thing, to be handled, guided, and on key occasions (and subtly) thwarted. Meet Aisha: Amazon’s New Sharia-Compliant Version of Alexa! BOSTON — A Muslim girl in Massachusetts has received hundreds of letters of support after receiving threatening notes at her elementary school. The Massachusetts chapter of the Council on American-Islamic Relations said that as of Thursday, it had received more than 500 notes from across the country for the 10-year-old. The girl, whose name officials haven’t released, is in fifth grade at Hemenway Elementary School in Framingham, about 25 miles (40 kilometers) west of Boston. 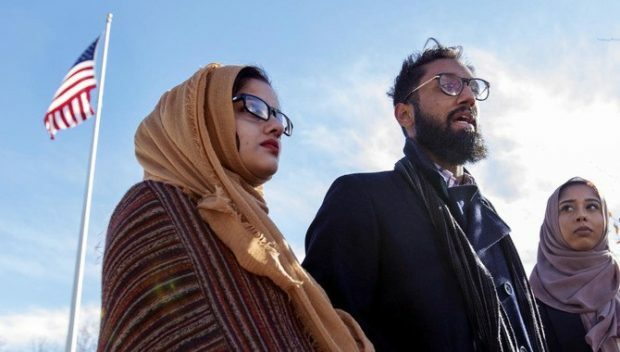 Sumaiya Zama, the Massachusetts chapter’s director of community advocacy, said she’s “incredibly heartened” by the outpouring of support, particularly the “powerful messages” people from different faiths shared. “Despite the climate of animosity and fear that so many Muslims face today, it’s clear that we have allies,” she said in a statement.